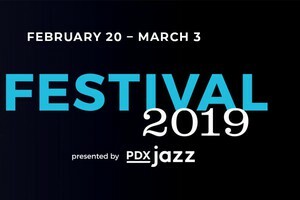 KMHD Jazz Radio March 27, 2019 1:33 p.m. | Updated: April 10, 2019 6:36 p.m. | Portland, Ore.
KMHD staff breaks down this year's Soul'd Out Fest schedule day-by-day with our must-see acts and recommendations for any taste. Featuring: Roy Ayers, Makaya McCraven, Theo Croker, Kadhja Bonet, Bernard Purdie and more. The annual Soul’d Out Music Festival has only grown since its inception in 2010, and we couldn’t be more excited. By bringing to Portland a diverse lineup of acts that cross-pollinate between jazz, hip-hop, neo-soul and funk, Soul’d Out has been on our city’s cutting edge of reshaping definitions of “jazz” in the 21st century. Trendsetters and innovators in their own right, Soul’d Out’s 10th annual festival April 16-21 boasts as impressive a line-up as ever. Here are the KMHD staff’s festival recommendations, broken down by day and into six categories: Must-See, Local, Funk/Soul, Hip-Hop and Nu-Jazz. Artist Masego performs in concert at Austin City Limits Live at the Moody Theatre on Sunday, Sept. 2, 2018, in Austin, Texas. | MUST-SEE, FUNK/SOUL, HIP-HOP | A renowned horn-driven outfit, Tower of Power emerged in the late ’60s playing a dynamic blend of R&B, soul, funk and AM pop. Along with similarly inclined groups like Chicago and Blood, Sweat & Tears, Tower of Power helped push the sound of brass-infused music into the rock era. Led by Detroit-born tenor saxophonist Emilio Castillo, the Oakland based group scored hits like “You’re Still a Young Man” and “What Is Hip?” throughout the ’70s. They also became one of the most sought-after backing ensembles in pop, playing on recordings by Elton John, Santana, Bonnie Raitt, Aerosmith, Josh Groban and more. While their lineup has changed over the years, Castillo remains a constant and continues to guide the ensemble live and in the studio. 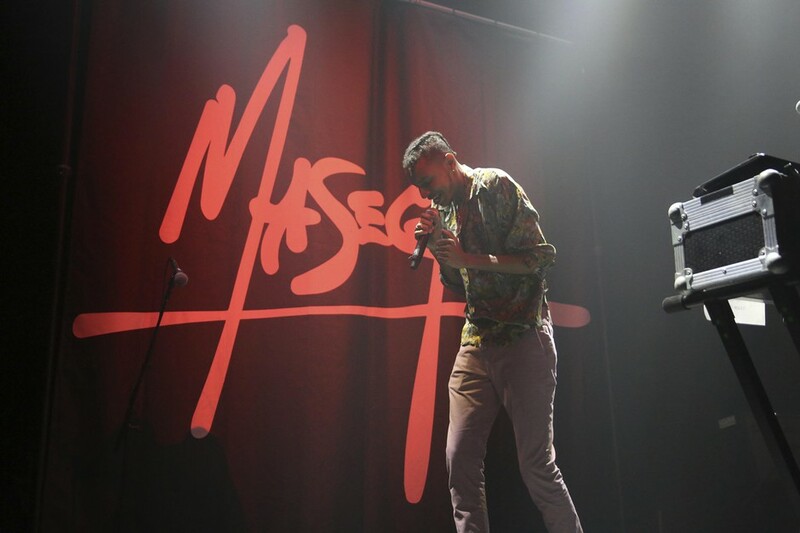 Masego | HIP-HOP | Songwriter/producer/multi-instrumentalist Masego blends genres such as trap, house, and jazz, creating an emotive future-R&B fusion. After years releasing singles and short efforts, he issued his official full-length debut, the sultry “Lady Lady,” in 2018. Etuk Ubong | CAPITAL J JAZZ, WORLD | Etuk Ubong (born June 25, 1992) is an in-demand trumpeter, composer and bandleader. Hailing from Akwa Ibom State in southern Nigeria, but raised in Lagos, he started playing at the age of 14 thanks to his mother’s encouragement. He’s studied at the Peter King College of Music, Muson School of Music and the University of Cape Town. Etuk has performed professionally for close to a decade and it was on the bandstands of renowned musicians like Victor Olaiya, Femi Kuti and Buchi where he earned his stripes and developed a passion for music. 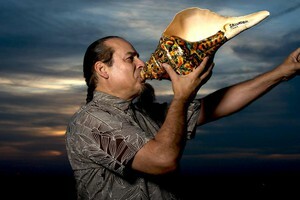 Drawing inspiration from the jazz greats, afrobeat, highlife and ekombi, he adds that the sounds of the elements – water, wind and fire – inspire him, which is why he calls his music ‘Earth Music.’ His compositions reflect his heritage and life philosophy of goodwill, peace and love to humanity. Theo Croker and DVRK Funk perform at the Elb Jazz Festival on the shipyard ‘Blohm und Voss’. 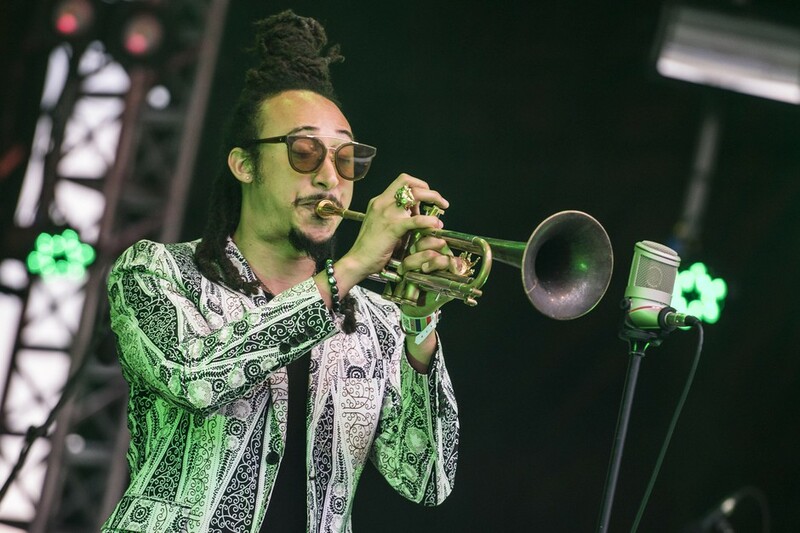 Theo Croker | MUST-SEE, NU-JAZZ | Trumpeter, composer, and arranger Theo Croker is an adventurous musician whose adept skills find him at home playing standards, swinging post-bop, or more groove-oriented electric jazz. A native of Leesburg, Florida, Croker is the grandson of the late great jazz trumpeter Doc Cheatham. He began playing trumpet around age 11 after hearing Cheatham play in New York City, and by his teens was studying music at the Douglas Anderson School of the Arts in Jacksonville, Florida. From 2003 to 2007, Croker attended the music conservatory at Oberlin College. While at Oberlin, he was mentored by legendary trumpeter and educator Donald Byrd. Also during this time, he earned the Presser Music Foundation Award, which funded his debut album, 2006’s “Fundamentals.” After graduating Oberlin, Croker relocated to China, where he took up residency at Shanghai’s House of Blues. His 2009 album, “In the Tradition,” paid tribute to Cheatham. In 2013, Croker returned to the States and began work on his third solo album, the Dee Dee Bridgewater-produced “Afro Physicist.” Released in 2014 on OKeh Records, the album found him branching out stylistically, weaving elements of funk, Latin jazz, and hip-hop into his sound. In 2016, he delivered “Escape Velocity,” which found him delving deeper into a genre-bending, spiritually enlightened, funk-influenced jazz sound. Mark de Clive-Lowe | MUST-SEE, NU-JAZZ, HIP-HOP | Half Japanese, half New Zealander pianist, composer, live remixer and producer Mark de Clive-Lowe has been LA based since 2008. Equal parts composer, jazz musician, found-sound remixer and club music producer, the musical maverick tours his multi-faceted live show in both solo and band setups internationally. He has released over a dozen albums and hundreds of collaborations and remixes creating with musicians, artists and DJs from all around the world. His critically acclaimed club night CHURCH has seen him on stage with multiple generations of the world’s most respected jazz, soul and hip hop artists, and his new project HERITAGE sees him making a deep dive into his own Japanese roots, interpreting it through the lens of jazz and electronica. 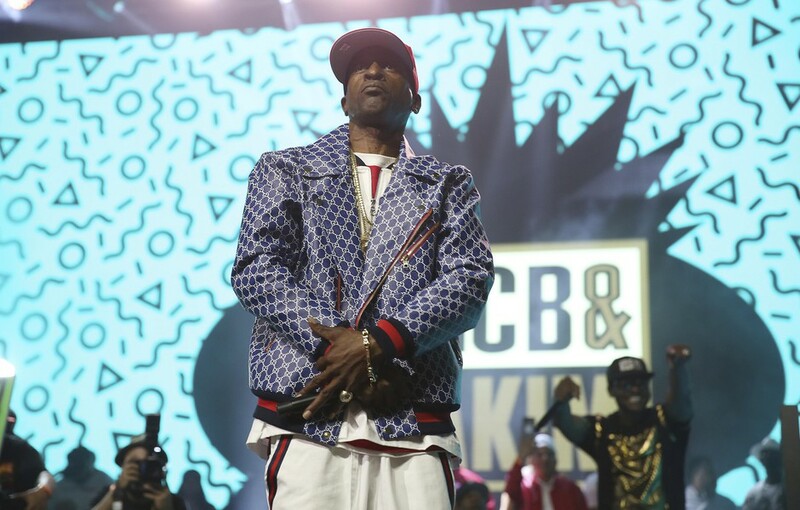 Rapper Rakim performs at the Yo! MTV Raps: 30TH Anniversary Experience at the Barclays Center on Friday, June 1, 2018, in New York. | MUST-SEE, NU-JAZZ, HIP-HOP | During rap’s so-called golden age in the late ’80s, Eric B. & Rakim were almost universally recognized as the premier DJ/MC team in all of hip-hop. Not only was their chemistry superb, but individually, each represented the absolute state of the art in their respective skills. Eric B. was a hugely influential DJ and beatmaker whose taste for hard-hitting James Brown samples touched off a stampede through the Godfather of Soul’s back catalog that continues up to the present day. Rakim, meanwhile, still tops fan polls as the greatest MC of all time. Bernard Purdie vs. Mel Brown | MUST-SEE, LOCAL, JAZZ-FUNK, CAPITAL J JAZZ | Colleagues describe the drummer’s style as the “funkiest soul beat” in the business, and Purdie has decidedly never limited his talents to the realm of jazz but rather has consistently sought out new musical experiences beyond it’s borders. He has anchored sessions with the Rolling Stones, James Brown and Tom Jones with equal ease and proven that – with all his attention to precision playing – terms such as “drive” and “GROOVE” are definitely not missing from his vocabulary. This is certainly why his rhythms have appeared as samples on nearly every “Acid Jazz” record released in the past few years – the new genre that has so successfully hosted the renaissance of Soul Jazz. For two years, 1978–1980, drummer Mel Brown toured with Diana Ross and the trio band he created. Brown owned and operated The Mel Brown Drum Shop until 1984 and then opened a bookkeeping service which he called Metropolitan Accounting and Tax. He maintained his music career playing gigs and performing different shows throughout the Portland Jazz District. 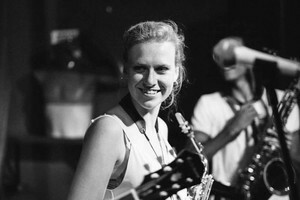 Brown created the Sextet, performing every week at The Hobbit in southeast Portland. 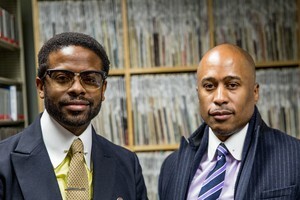 Brown had the opportunity to record and play with Leroy Vinnegar and the two of them started a Hammond B-3 organ quintet. In the 1990s, Mel was added to the board of directors for the Mt. Hood Jazz festival and created the Mel Brown Jazz summer camp workshop located at Western Oregon University. In the 1999 Brown was inducted into the Jazz Society of Oregon Hall of fame. Throughout his career he also played and performed with the Oregon Symphony. The Budos Band w/ The True Loves | WORLD, FUNK/SOUL | The sound of The Budos may be challenging for some to describe, but to the band, “Staten Island instrumental afro-soul,” means internalizing such seemingly disparate influences as the Cairo Jazz Band, J.C. Davis, Mulatu Astatke, and Black Sabbath and coming together to form a mind-bending combination of rhythm and melody. Tours have spanned the U.S., Canada, and Europe, playing rock clubs and large festival stages. At any given Budos show, one might see b-boys break dancing to the band’s funk and hip-hop beats; record junkies nodding their heads to the soul-infused melodies; metal heads thrashing to the dark and ominous guitar and bass riffs; and general music lovers who eagerly attend Budos shows and smile approvingly at the melting pot of music that takes place. Simply put, The Budos kill the live show and with each record, their ability to put the energy, sweat and passion of the live experience to wax increases. MNDSGN | HIP-HOP | MNDSGN is a producer whose off-center spins on hip-hop and synthesized funk, as showcased on albums such as “Yawn Zen” (2014) and “Bodywash” (2016), made him a fixture on the Stones Throw label roster. Born Ringgo Ancheta in San Diego, California to former members of the Philippine arm of the Aum Supreme Truth Cult, MNDSGN (pronounced “mind design”) was raised on the edge of a New Jersey commune without electricity, and didn’t encounter hip-hop until he hitchhiked to Philadelphia to experience the modern world. A downtown resident explained sampling and beat-making to him, and by the of the day, MNDSGN acquired some equipment. Trips back to Philadelphia led to a move to Los Angeles, where he issued EPs and MP3s on labels like Klipmode and Fresh Selects. The Stones Throw label signed the producer in 2014 and released his spaced-out debut LP, “Yawn Zen,” that year. “Bodywash,” inspired by post-disco R&B, arrived in 2016. Two years later, MNDSGN produced “Wanna Be Your Man,” the return of underground funk musician Prophet, and also released the hip-hop-oriented “Snax,” a mixtape that combined new productions with remixes. 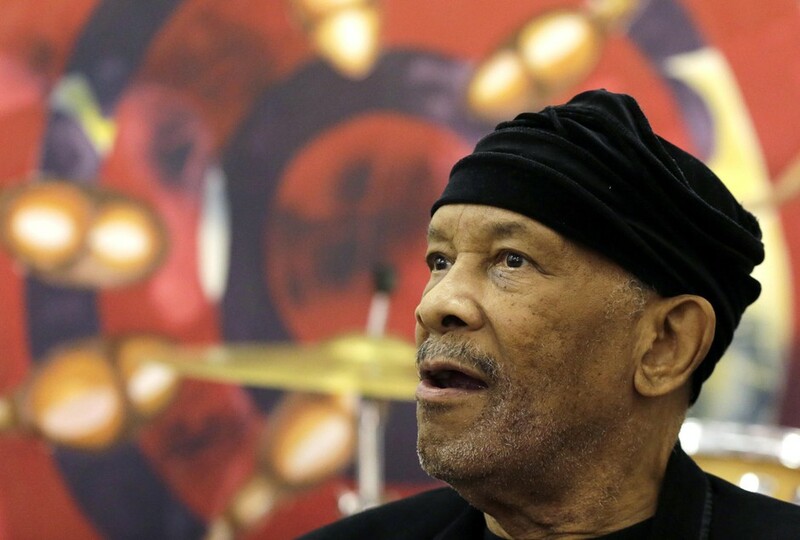 Jazz musician Roy Ayers, looks on during his workshop with young music artist at Funda Centre in Soweto, South Africa, Friday, Sept. 29, 2017. Ayers, who is in South Africa for a jazz festival, radiated enthusiasm on Friday as he urged a couple of dozen people at an arts center to “vibe on” role models even if they don’t always meet expectations. | MUST-SEE, CAPITAL J JAZZ, FUNK/SOUL | Roy Edward Ayers, Jr. was born in Los Angeles on September, 10 1940. He came by his affinity with music naturally, as his mother Ruby Ayers was a schoolteacher and local piano instructor and his father Roy Sr., a sometimes-parking attendant and trombonist. As it often happens in a household filled with the love and the appreciation of music, Ayers began to demonstrate his musical aptitude by the tender age of five, by which time he was playing boogie woogie tunes on the piano. He turned to the steel guitar by the age of nine, had stints during his teens playing flute, trumpet and drums before embracing the vibes as his instrument of choice. Bobby Caldwell’s live performances are always electrifying! Drawing from his vast repertoire of rousing R&B, intimate smooth jazz stylings, and big band songs, Bobby has the ability to entertain at any venue, for fans of all ages. In Japan and throughout Asia, he enjoys a feverish popularity, selling out shows and achieving gold and platinum status for his releases in those countries. In addition to heavy touring, Bobby starred as Frank Sinatra in the David Cassidy/Don Reo theatrical production “The Rat Pack Is Back” in Las Vegas. Bobby received rave reviews for his performance, both from industry critics and from his loyal fans. Ghost-Note | NU-JAZZ, FUNK/SOUL | Multi-Grammy Award winning artists Robert Sput Searight and Nate Werth take percussion out of the shadows and into the spotlight with their new project, Ghost-Note. World renown for their ongoing catalog with international sensation Snarky Puppy, this dynamic duo expands their rhythmical voice into a celebration of music in all its forms. This is music that takes listeners on a mind-blowing journey, inspired by the influences of James Brown, J Dilla, and the Beastie Boys, all the way to folkloric West African, Afro-Cuban and Brazilian samba grooves. Gramatik | HIP-HOP, WORLD | Mixing that electro thump with the sample-heavy boom-bap of hip-hop, DJ/producer Gramatik was born in Portoroz, Slovenia, but he always seemed bound for Brooklyn. It was an older sister with a large cassette collection who turned the young Gramatik on to tapes of funk, jazz, R&B and other genres that naturally lent themselves to dancefloors.